Recently we have all become more aware of hurricanes and cyclones that have caused devastation across Latin America, the Caribbean and the American mainland ie hurricanes by the names of Harvey, Irma, Maria, and Nate. This week our thoughts and concern focus on Ireland and the UK which have suffered the impact of Hurricane Ophelia,(later downgraded to a tropical storm). Our prayers are with our Brigidine Sisters living in Ireland and the UK. We especially pray for the families and communities of the three reported deceased persons in Ireland following this storm and all those whose properties have been damaged or destroyed. We give thanks for all engaged in ensuring the safety of the public and in emergency services involved in helping communities recover. Events such as these around the globe remind us once more that the impacts of climate change know no borders. We are being called to confront the many, complex and inter-related factors threatening the life and well-being of our common home, and to take decisive action for ecological justice. 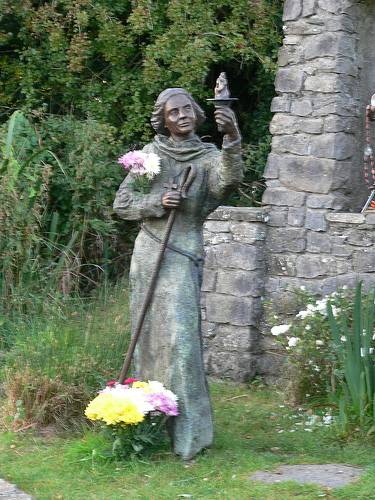 May St Brigid of Kildare, Earth Woman and our Patroness , continue to inspire us in our living within the one sacred web of life.